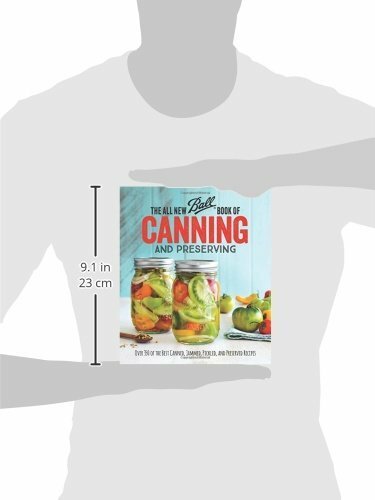 From the experts at Jarden Home Brands, makers of Ball canning products, comes the first truly comprehensive canning guide created for today’s home cooks. This modern handbook boasts more than 350 of the best recipes ranging from jams and jellies to jerkies, pickles, salsas, and more-including extender recipes to create brand new dishes using your freshly preserved farmer’s market finds or vegetable garden bounty. Thoroughly tested for safety and quality by thermal process engineers at the Fresh Preserving Quality Assurance Lab, recipes range from much-loved classics – Tart Lemon Jelly, Tomato-Herb Jam, Ploughman’s Pickles – to fresh flavors such as Asian Pear Kimchi, Smoked Maple-Juniper Bacon, and homemade Kombucha. Make the most of your preserves with delicious dishes including Crab Cakes garnished with Eastern Shore Corn Relish and traditional Strawberry-Rhubarb Hand Pies. Special sidebars highlight seasonal fruits and vegetables, while handy charts cover processing times, temperatures, and recipe formulas for fast preparation. 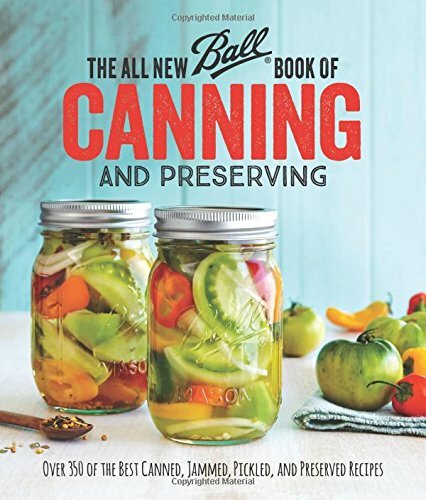 Lushly illustrated with color photographs, The All New Ball Book of Canning and Preserving is a classic in the making for a new generation of home cooks.